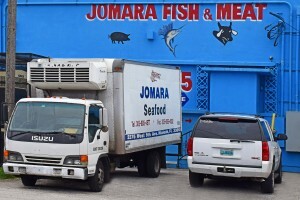 Jomara Seafood is committed to supplying and distributing the highest quality and the greatest variety of frozen seafood at the best competitive prices. Our staff has extensive knowledge and experience with seafood. We have years of experience and knowledge in the frozen seafood industry. Our commitment to customer service is genuine and backed by years of experience. We carry one of the most extensive frozen seafood product lines. We import seafood from many countries. We also process domestically grown products. We carry numerous varieties and species of whole fish, fillets, lobsters, shrimp, prawns, crabs, and chunk fish supplied from quality sources. By working only with HAACP certified national and international suppliers and producers, we sell only the highest quality products. Additionally, we only work with suppliers who share our commitment in maintaining the highest seafood quality standards. Below is a list of products we carry. Please give us a call if you are interested in a product that we carry. We ship our products under the best possible conditions and in accordance with the strictest industry guidelines and regulations. Our products are delivered to many businesses on the best conditions to ensure product safety. You can also come by and pick up products from our distribution center conveniently located in Miami, Florida.